As long a relationship the Italian automaker has had with the styling house Pininfarina, the latter didn’t pen all Ferrari’s designs; however, they have shaped a significant majority of them. The number of good-looking cars both firms have styled is appreciable, so I thought focusing on the intersection between them, design-wise, would be a less daunting task than attempting name the best and worst design of either one in isolation. Ferrari engineering and Pininfarina styling have been joined at the hip since the mid-’50s, so there were a myriad of designs to choose from. 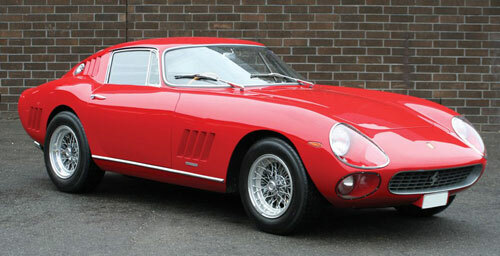 The pinnacle of their association, though, came in 1965 with the 275 GTB, pictured at top. Combining the sensuality of the 250 GT Lusso (without the delicate femininity) with the muscular aggression of the GTO and Daytona (with none of the brutishness), it best represents everything a Ferrari should be, from then to now. Every line is perfectly placed and urgently communicates a raw, yet refined animalism. It’s the quinessential “iron fist in a velvet glove,” and a stunning achievement. 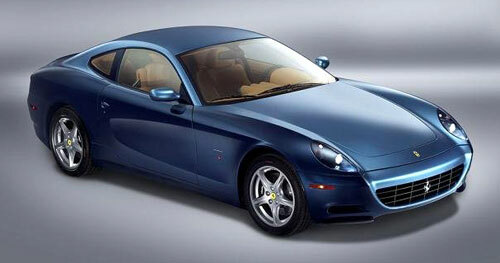 The more recent ’04-’10 612 Scaglietti, on the other hand, stands as the nadir of the Ferrari-Pininfarina connection. It’s decorated rather than styled, arbitrary features like the side scallops tacked onto otherwise conventional proportions. The front in particular is a disaster: Concave where it should be convex, and vice versa. The headlights and wheels look far too small and give the already large GT an even girthier impression. The styling house really phoned it in with the 612, and the car ended up looking like it was hastily carved from a bar of soap. Sketch a few lines, and…we’re done. Yeah, that’ll do. Next. It’s understood customers of Ferrari’s larger offerings prefer cars that are a bit more discreet than their rip-snorting sports cars, but the Scaglietti commits the double sin of being boring and ugly. I would say the same about the 612’s successor, the FF, but at least with that car, it looks like they’re trying for something; there’s intent, purpose. Here’s hoping the next big Ferrari GT has some grace and class to go with its power. Here’s hoping the next big Ferrari is…not so BIG. The problem of the Scaglietti, aside from it honoring the fellow who did the best work of all with a bit of a pot boiler is the 117 inch wheelbase. That is a Lincoln Towncar ‘passo.’ If front engined multi cylinder cars are going to be this vast, maybe they needed a W12 configuration engine. As was reportedly studied, and then left to Bentley. No, I feel the Scag is not the outrage Matt imagines it to be, but the subsequent California Cabrio truly has it beat for an illogical and graceless workup. Oddly enough Peugeot managed to contain a similar sized V12 in their 907 concept that was trim in its dimensions. The raw aluminum Saradakis Shelby coupe and the Superleggera Maserati A8GCS are other successful designs which held to a disciplined footprint and exterior envelope while echoing the golden age of the GT in modern livery. Some recent Zagato work like the Diatto has proven to be pleasing and current at the same time. The original 2003 Jaguar XKF study (NOT the actual production car for a decade later) is my final nominee. But back to Ferrari. One wishes in vain for a new and valid Ferrari GTO that isn’t just a name snatching poseur upon it. Alas. Ah, I’d forgotten about the recent California, an utter insult to the original’s legacy. It is a truly revolting car, especially from Ferrari, who should know better than to release something like that. But then again, they did give us the F50. Oof.